Microsoft Outlook is the program that works as a personal information management tool and comes as part of the Office applications suite. In addition of regular e-mail client options such as sending, receiving and storing e-mails, it also contains contacts, calendar, tasks, notes and even a journal. Even the loudest critics and the opponents of the Outlook must agree that it has improved with the each new version. It gets easier to use, acts smarter and plays better with other software on your computer. Because of this, Outlook is de facto the most-common choice for the majority of corporate users. Also, it has the implementation in the small office – home office businesses. As a business user, you are probably very often engaged with many important tasks, or there are some other reasons why you do not want to be distracted by e-mail messages. In situations like this, it is very useful to know how to stop receiving e-mails temporarily and permanently. 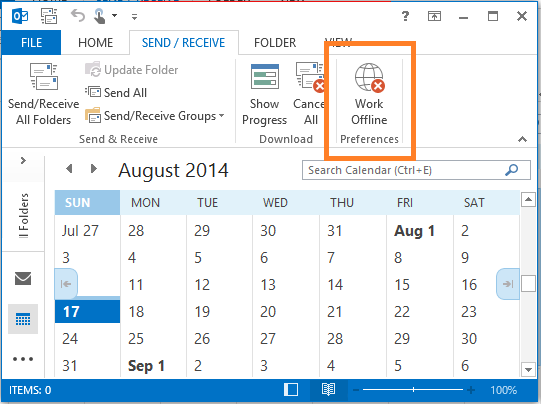 The most-practical solution is to place Outlook to work in the Offline Mode, which disconnects Outlook from the server. Only 2 clicks are required. It can be applied both in situations when you do not want to receive any emails temporarily or do not have any Internet access at the moment. 1. Click on the Send/Receive tab. 2. Press the Work Offline button. You may use the same instructions when you decide to start receiving new emails again. If you just want to temporarily stop the scheduler without disconnecting from the server, this is the perfect method for you. 3. Click on Send/Receive Settings. 4. 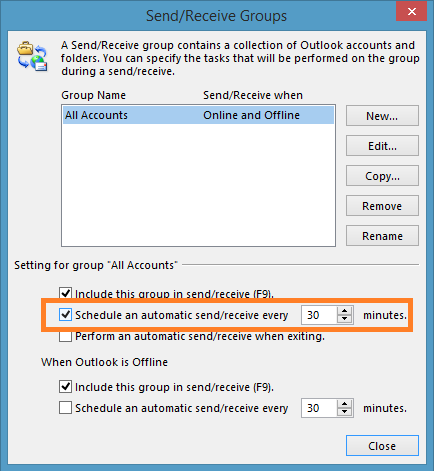 Select Disable Scheduled Send/Receive. 2. 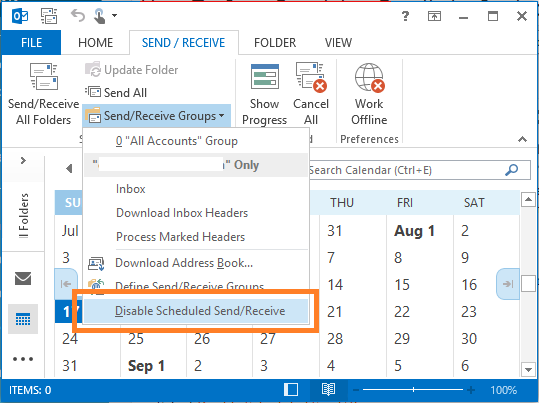 Select Disable Scheduled Send/Receive. While this action is not permanent, it serves as a better long term option to stop automatic email reception. Choose this option if you wish to manually send/receive emails everytime in the future by manually clicking the Send/Receive button. 3. Select the Mail Setup tab. 4. Click on the Send/Receive button. 5. Uncheck the Schedule an automatic send/receive every x minutes box. 2. 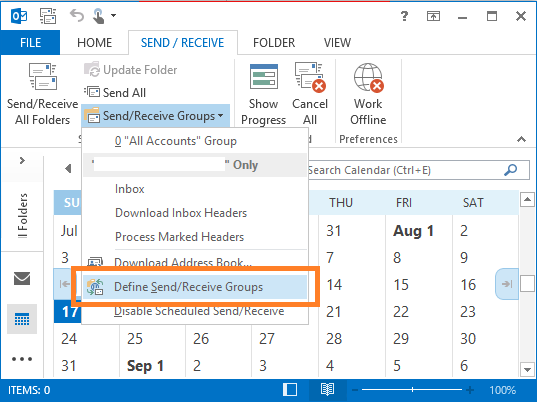 Select Define Send/Receive Groups. 3. Uncheck the Schedule an automatic send/receive every x minutes box.